A serious focus of any painting business owner, is where to get the next sale. A popular choice for those who are just beginning to look into lead services is Home Advisor Pro. But, in recent years, Home Advisor Pro has caught a lot of attention due to alleged claims of unfair treatment towards their registered members. This article aims to highlight what you should know about the multinational company, BEFORE you consider signing up with them. 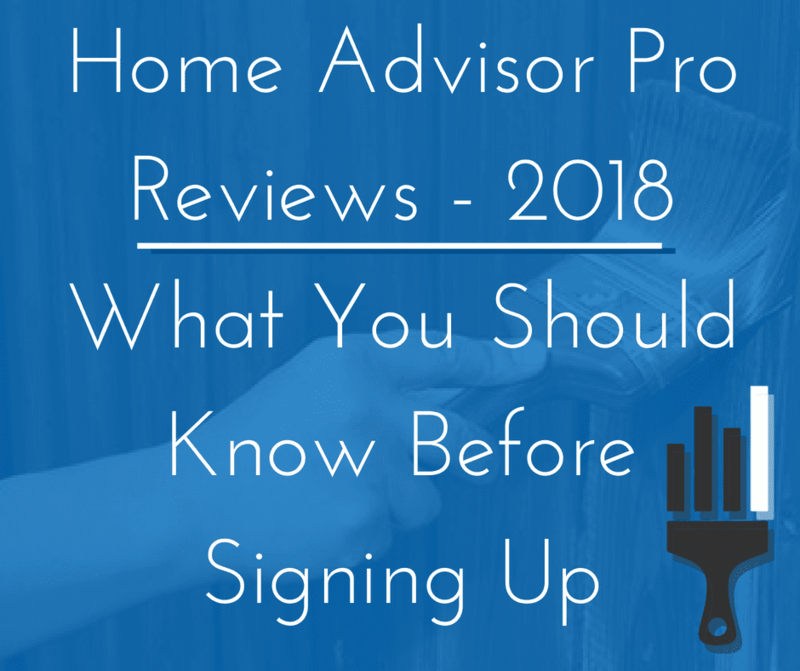 At the time of writing this article, Home Advisor Pro has a registered 1308 complaints & 585 negative reviews with the Better Business Bureau (BBB). Though famous across the general contracting world, their contractor & lead services have been described as fraudulent and shady from customers at an alarming rate. But what are these complaints about? Before going into the complaints, let’s have a quick look at how Home Advisor Works as a whole. Customers search online when they need help finding contractors. Given that Home Advisor is a giant in contractor/lead industry, the customer finds Home Advisor & requests to be contacted by a contractor in their area. That’s Simple Enough, Why Are there So Many Complaints? The complaints regarding their services stem both from people seeking contractors, as well as from contractors utilizing their lead services. A heavy Home Advisor controversy is rooted in reports of the company using fraudulently established business websites, in the name of companies that utilize their lead services, as a means to promote their own service by way of backlinks. Several businesses have reported this as a problem, and have tracked down these fraud sites (though we weren’t able to find concrete evidence of this, and we’re not here to propagate hearsay). Editor’s Note: The term fraudulently is used, as permission to use the respective companies’ names was reported to have never been acquired. So we’ll focus on what we could find. To start, a quick browse through the first few pages of their BBB profile indicates that no real vetting process is performed by Home Advisor, prior to entering referral agreements with contractors or customers. Note the term ‘indicates’. We do not possess privileged information regarding the back-end operations or how Home Advisor runs their business internally. Additionally, multiple complaints have been reported regarding their customer service, which is described as lengthy and often unresponsive towards their clients. Our tactic, when reviewing the contractor/lead service was to randomly select reviews AND complaints from their BBB profile, in order to hopefully gain insight to some of the positive experiences as well. Under the reviews section of their BBB profile, our researchers found the numbers were staggering. 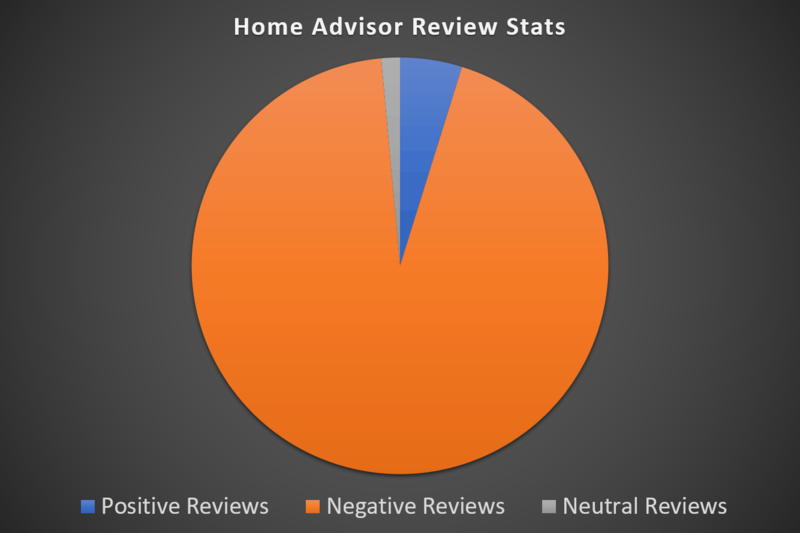 Represented in chart (above), Home Advisor had 585 negative reviews of their services, compared to 30 positive reviews, & 9 neutral reviews from contractors and customers seeking help with their contracting needs. Our researchers immediately went to work to find out what all the fuss was about. Given that our reader base is primarily individuals running a business in the paint industry, we’ll focus on the experience for contractors. Editors Note: Our original intent was to segment this section into both positives & negatives, but were unable to locate positive reviews left behind by contractors. It pays to know how the Home Advisor model works when it comes to registering to be a ‘Pro’ contractor. A company begins working with Home Advisor by signing a contract with the lead service & pays a startup fee (reported to be ~$300). The company sends your business leads they feel are relevant to the services you provide, and if you want them, you pursue them. Regardless of whether or not you secure the job, you pay a fee for the lead. These values can vary by several hundred dollars based on a number of factors. A reviewer left, in one of his complaints, that he was made unaware that he would be responsible for paying for leads that his company did not convert into a sale. As such, he pursued all of the leads that were given to him over the span of a month. After 24 leads, his business had succeeded in selling zero jobs. In a similar case, one lead recipient stated that their business paid for a lead from Home Advisor & found the number to be disconnected (or not a valid number), costing the contractor $400 for nothing gained. When a complaint was filed with the company, Home Advisor responded by providing 3 additional leads free of charge (fair move on their part). Bear in mind, Home Advisor Pro operates internationally, they deal with leads in very large quantities, and not every purchased lead can result in a sale for a paying contractor. Nor can every complaint be taken at face value. There are always two sides of the story. Unfortunately, however, complaints like these are not unique. Contractors pay for leads based on a number of variables, including job type. Naturally, contractors would be willing to pay more for leads that may result in higher paying jobs. However, contracting companies have to pay for a lead prior to being able to contact a potential customer, and are forced to purchase leads based on the limited information customers provide online. After contacting the lead, it was revealed that the lead only needed minor work done to a chain-link fence, thus resulting in a net loss reported by the contractor by the end. And the list goes on. Our researchers combed through hundreds of reviews & found the trend to be eerily similar. Some cases reported that incidents being handled by customer service would often never receive any follow-up (even when promised a follow up call after 6-10 days to allow for an investigation regarding the issue). Then Why is Home Advisor Still in Business? As mentioned before, Home Advisor is a very large company. They deal with companies (and customers) all over the world. So, their model is simple. It’s a numbers game. There are also many large contracting companies across the world whose business model works in a similar manner. These companies possess the manpower & business infrastructure in place to help convert sales at a higher rate than the privately-owned general contracting company. They have initial call protocols, dedicated sales departments, concrete follow-up procedures, etc. Large companies can also afford paying several thousands of dollars in order to secure leads. It’s a calculated risk. Additionally, Home Advisor appears everywhere online when someone is looking for contract work. They have a large customer base to pull from, and they have the resources to fund their operation. What their company lacks is the ability (or willingness) to help the little guys. The ones who may have just started their businesses, or who run an operation composed of a few hard-working people. What they DO have, is a valuable service. Their aim is to match customer needs to relevant contractors. And, even if their system is flawed, to an extent it works. Be picky with which leads you choose to pursue. Understand that you WILL be charged for every lead you attempt to close a job with. 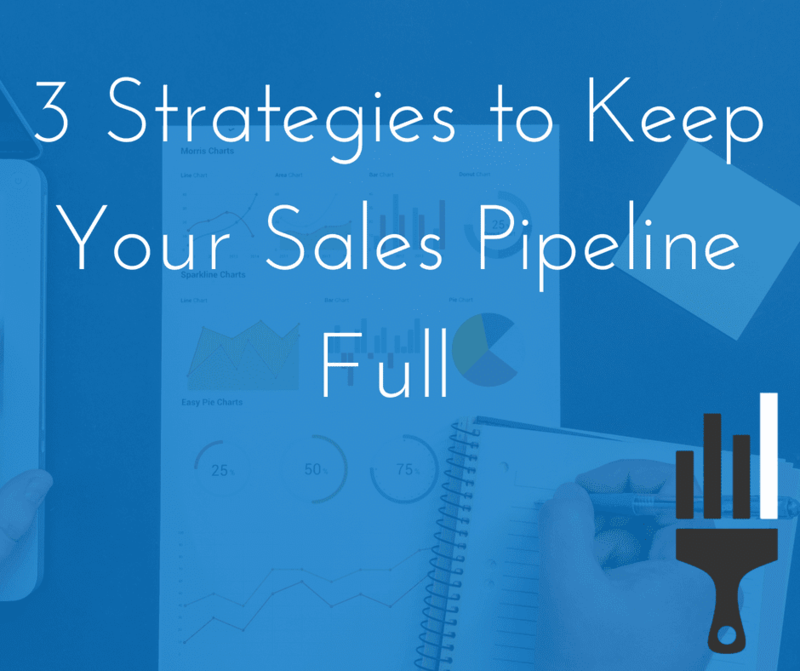 Have a, very strong, professional sales process in place prior to attempting to contact leads. Be a stickler for receiving refunds on ‘bad leads.’ Note: ‘Bad leads’ does not imply that everyone that doesn’t agree to use your service. Bad leads refers to disconnected/wrong numbers, or a lead whose needs don’t match the service you provide. Focus on big job sizes. Provide exceptional service to the leads who do end up paying you for your service… then ask for a review. This will help strengthen your Home Advisor Profile & will help you sell more jobs. As a private business owner in the painting industry (or prospective business owner), you have options to generate leads. If you’re just starting out, and have limited funds available for lead generation, then it’s time to give door-to-door marketing a try. The tactics outlined in the Painting Business Pro course take you step-by-step on how to get find leads for FREE. PBP goes as far as to provide scripting throughout the whole sales process, which is designed to help you convert at a high rate. If you already have the course, and have room in your budget for lead services, we always recommend giving PaintingLeads.com a try. They provide leads nation wide, and only focus on the painting industry. They also charge less per lead than Home Advisor. They also provide guides on topics from setting up the estimate, selling the job, the phone follow-up, etc. Given that they only work with painters, they have tools that are specifically designed for this industry. Ultimately, small painting business owners would benefit from a lead service that is geared towards their success. Home Advisor Pro, though possessing a working business model, is not geared towards providing service for companies that operate on a relatively small scale. In the end, the best recommendation is to keep track of your numbers. Lower cost lead services can help keep your marketing costs below 10% (the ideal goal is 7%). However, if you want to widen your lead acquisition, and your marketing costs fall within these ranges, then give Home Advisor Pro a try. Just be ready to pull the plug if their service doesn’t work for your market area. If you proceed with caution & keep a mindful eye on your business expenses, your business could experience great success with a variety of lead services, including Home Advisor Pro. Enjoy this Article? Want to Learn More? I’m Eric Barstow, creator of Painting Business Pro, founder of National Painting Group & Foothills Painting, Co-Owner of Painter Choice. I’m disrupting the painting industry, and helping thousands of painters start or improve their businesses. I love what I do! Get ALL of my Painting Business Systems! Get painting customers sent directly to your phone and email with Painter Choice. What email should I send this to? You should be receiving an email from me momentarily. Click the confirmation link in that email and then I can send you the info you requested. Thanks! Now you can go back to the article.